At Dingo Jacks we aim to be able to meet all guitarists needs. We sell a great range of guitars, amps and accessories and can offer great deals on part exchanges. Based in Dartford we welcome customers from across Crayford, Swanley, Bexley, Gravesend and the surrounding areas. 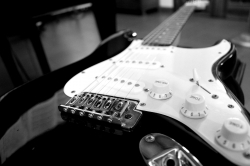 Established in 2005, we are passionate about music and guitars. We are an independent store and work hard to provide a welcoming and quality service for all levels of guitar players. For the very best guitars, amps, effect pedals, capos, strings and more visit Dingo Jacks today. With a strong commitment to customer service we offer everything that acoustic, electric or bass guitar players could ever need. We can also accept deposits and offer interest free payment schemes to our customers. With great value guitar lessons, repair services and part-exchange deals we are invaluable to learners and professionals alike. We are a friendly, honest, family run store who enjoy supporting local musicians and bands.